As Japan's ancient capital, Kyoto is a city with plenty of excellent historical and cultural places to visit. But if you have a few days available and want to explore some other areas of Kansai, Kyoto is also the perfect place to do so! 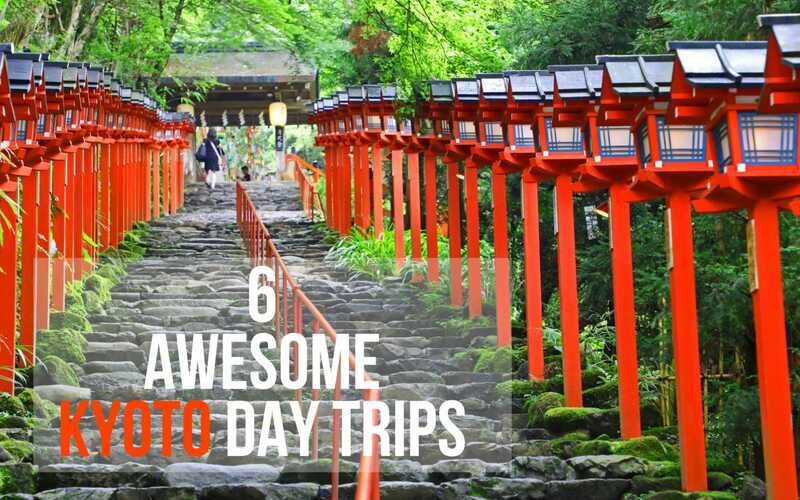 Here are some great places to consider when planning a day trip from Kyoto. Mount Hiei offers a great hiking opportunity just a stone's throw from the center of Kyoto. Stunning views, wildlife and foliage make this a fantastic nature getaway. Plus, the region is steeped in history—Mount Hiei is home to the famous temple, Enryaku-ji, where the Tendai sect of Buddhism was founded in 788. Sometimes called "marathon monks," many members of the Tendai sect set out to complete a brutal 1,000-day pilgrimage called the kaihogyo, testing their spiritual and physical endurance while searching for enlightenment. But for those of us who don't plan on pushing ourselves to our utmost limits, Mount Hiei also has a cable car system to take you up near the summit, sweat-free. From the top cable car station, it's about a 15-minute walk to Enryaku-ji Temple, which—on top of its aforementioned historical significant—is a UNESCO World Heritage Site that overlooks Kyoto. Access: For those who want a long hike up Mount Hiei, take the JR Nara Line from Kyoto Station and transfer to the Keihan Main Line at Tofukuji Station. Take the Keihan Main Line to Demachiyanagi Station, and transfer to the Eizan Main Line. Get off at Shugakuin and follow the signposts to the hiking path for Mount Hiei. If you would prefer to take the cable car, stay on the Eizan Main Line to Yase-Hieizanguchi Station ,and transfer to the cable car there. Ohara is a small, quiet town just north of the city of Kyoto, and easily accessible by public transport. It is famous for the Sanzen-in Temple, and the surrounding temples which were established in the Heian Period (794-1185) as part of the Tendai sect of Buddhism in Japan. There are plenty of hidden walking trails that take you in and out of the beautiful temples and backstreets of the town. The town is exceptionally beautiful in autumn when the momiji (Japanese maple trees) leaves turn bright yellow and deep red, and in the spring, when it becomes almost unbelievably verdant. Access: Take the #17 bus from Kyoto Station to the Ohara Bus Stop. For those who are looking for an easy hiking route just outside of Kyoto, look no further than the hiking course between Kurama and Kibune. The full course takes about three hours to complete at a distance of roughly 4 kilometers (about 2.5 miles). Upon arriving at Kurama Station, you will be greeted by a statue of the head of a Tengu, a mythical creature with a long, bird-like nose. Kurama is a nice place to visit on its own, as the birthplace of reiki (a holistic practice based on the manipulation of chi), and home to the lovely Kurama Onsen. You will need to enter Kurama-dera Temple (admission fee of ¥300), which is easy to spot by the large temple gate near the station. Once inside the temple complex, the hiking course is easy to follow. You'll end up in Kibune, a sleepy town with many Japanese-style inns, and the famous Kifune Shrine. Access: Take the JR Nara Line from Kyoto Station and transfer to the Keihan Main Line at Tofukuji Station. From there, take the Keihan Main Line to Demachiyanagi Station and transfer to the Eizan Main Line. Get off at Kurama Station. When you are returning to Kyoto after the hike, take the Eizan Main Line from Kibune-guchi Station back to Demachiyanagi Station, and follow the rest of the public transport route back to Kyoto Station. Uji is a small town between Kyoto and Nara which is famous for the Byodoin Temple, which is also a World Heritage Site. Initially built in 998, the sheer scale and unique structure for a Buddhist temple is visually striking. Uji Bridge is also mentioned in the final chapters on The Tale of Genji, written in the 11th century by by the noblewoman Murasaki Shikibu and considered a classic in Japanese literature (some scholar also argue that it's the world's first novel). For those interested, there is also a museum dedicated to the story and there are plenty of river cruises from which you are able to get a great view of the bridge. Uji is also known for its picture-perfect green tea fields, which practically glow in the sun. Access: Take the JR Nara Line from Kyoto Station to Uji Station. 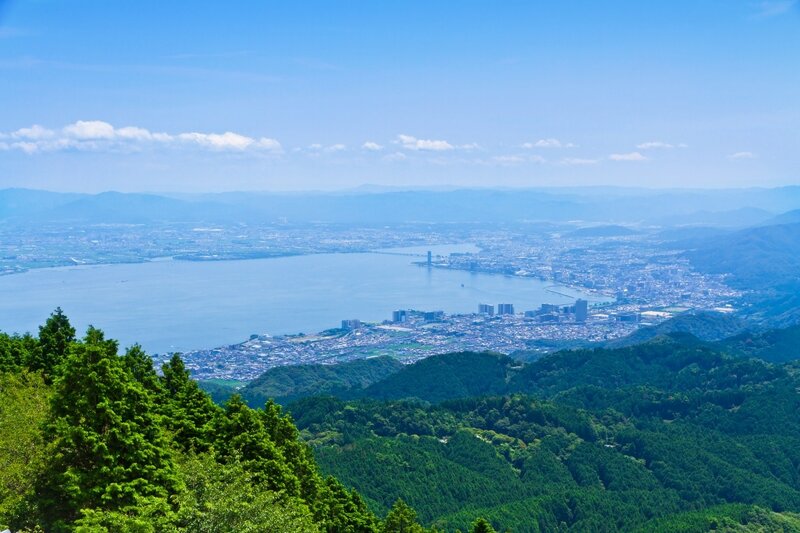 The Takao mountain areas and the temples nestled within make for a great hiking and mountain biking area. First, make sure to visit the historic Jingo-ji Temple, which houses replicas of National Treasures, like calligraphy written by the priest Kukai in the 8th century. Follow the path from Jingo-ji Temple to find the hiking course, which takes you through towering trees and alongside the Kinunkei Valley. Finish up in the small village of Kiyotaki before heading back to Kyoto. The full hiking course takes around 90 minutes to complete and offers great picnic spots along the way. Like most entries on this list, it is especially picturesque in fall. Access: Take the Karasuma Subway Line from Kyoto Station to Shijo Station. Take a short walk to the Shijo Karasuma Bus Stop and take the #8 bus to the Takao Bus Stop. To return from Kiyotaki, head to the Kiyotaki Bus Stop and take the #94 bus to the Nonomiya Bus Stop. From there, walk to Saga-Arashiyama Station (about 10 minutes), and take the JR San-in Line back to Kyoto Station. Nara is another ancient capital of Japan, and was established as such in the year 710. Though there are plenty of places to visit in Nara, some of the highlights include Todai-ji Temple, a World Heritage Site that contains a large hall called the Daibutusden, and was the largest wooden building in the world. Within the hall is one of the largest bronze statues of Buddha (Daibutsu) in Japan. Don't forget to visit Nara Park on your way too or from Todai-ji! It's famous for its wild deer, which are very tame and considered holy in the city. You can purchase crackers to feed to the deer, which will often "bow" for them. Just be careful! They can get quite excited. After that, head outside Nara's city center and visit Heijo Palace, which was the former Imperial Palace in Nara and is also a World Heritage Site. Access: Take the JR Nara Line from Kyoto Station to Nara Station. Be sure to take a rapid train to avoid stopping at all of the local stops along the way. From Nara Station, follow the main shopping street opposite the main exit to the city center.